If you’ve been following along with the UkeTube you’ll be familiar with Herman Vandecauter’s consummate classical ukulele playing. 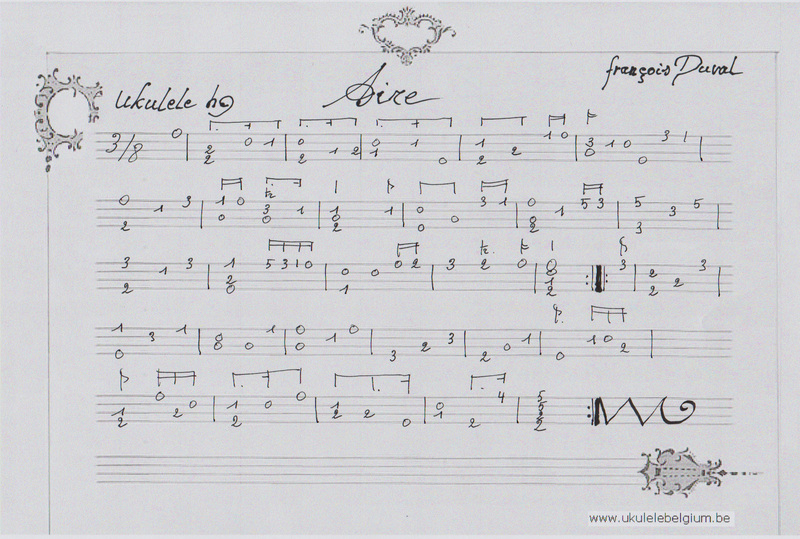 He was kind enough to let me put up one of his handwritten tabs for Francois Duval’s Aire. The piece is fairly straightforward but if you want to play it as well as Herman does you’ll need to work hard on getting the tone and feel of the piece right.